Dr.Malpani's Blog: Dr Malpani, why did my IVF cycle fail ? This is one of the commonest questions patients ask me. Doctor, I did an IVF cycle at this other clinic and it failed - can you please tell me why ? Obviously, the next thing I need to do is to drill deeper to find out more details about the medical treatment provided, so I can provide an intelligent answer. superovulation ? What was the dose used ? How many follicles did you grow ? How many eggs were collected ? What was the E2 ( estradiol) level in the blood ? 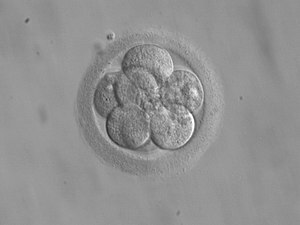 How many embryos were transferred ? What was the embryo quality ? What was the endometrial thickness ? Most patients look completely blank when I ask them these basic questions - and some even think I am crazy for expecting them to know the answers. A standard reply is - Our doctor never told us anything ! Sadly, very few clinics in India provide patients with any medical details about their IVF treatment. Many of them do not even have the courtesy to provide a simple treatment summary - let alone details of the number of eggs collected or embryos transferred. I have to spend a lot of time trying to reconstruct the IVF treatment provided with the help of scraps of prescriptions and ultrasound scans - and this can be a very frustrating exercise. While the fact that the clinic does not provide these basic details is a black mark against the clinic, I feel patients are also equally responsible . After the treatment is over, there's very little patients can do - and that is why I feel patients need to ensure that the clinic routinely provides all patients with all these details before they start the IVF treatment ! If I were an IVF patient, I would just ask the IVF doctor one simple question before starting the IVF cycle - Do you provide photos of embryos for all your IVF patients ? And if the answer is no, I'd find another IVF clinic !